The complaints from Foxconn parent company Hon Hai Precision Industry, Pegatron, Wistron, and Compal were made last year, with the group seeking $9 billion in damages from the chip producer. Connected to the ongoing legal fight between Apple and Qualcomm, the legal team working for the assembly partners has denied any possibility of a settlement occurring between all parties ahead of the trial itself. Assembly group law firm Gibson, Dunn & Crutcher partner Ted Boutrous told Reuters that claims by Qualcomm that talks were in progress were "false." The comment echoes similar statements made by Apple about its own lawsuit, following claims by Qualcomm that settlement talks were occurring. Apple attorney William Isaacson advised to the court the reports of such discussions were "not true," and that "there haven't been talks in months." "To the extent Qualcomm has indicated there have been licensing discussion with the contract manufacturers, they've basically made the same sort of unreasonable demands that got them to where they are right now, which impose significant preconditions to even discuss a new arrangement" said Boutrous. The group of assembly partners commenced the lawsuit in July 2017, as part of the high-stakes dispute between Apple and Qualcomm over royalties and patent licensing. After Apple initially sued Qualcomm in January 2017 over claims it withheld $1 billion in patent license rebates and abused its market position, Qualcomm countersued in April 2017. In response, Apple told the assembly partners to withhold their own license payments to Qualcomm until the issues were resolved. This action prompted another lawsuit from Qualcomm against the manufacturing partners the following month, on the basis the firms are still contractually obliged to pay iPhone-related royalties to the chip company. The suit by the assembly partners is being funded by Apple, which is likely to be helping the firms involved err towards going to trial instead of settling. The group's complaint is that Qualcomm charges for chips used in manufacturing, but then requires a patent royalty on top, which the firms believe is an anticompetitive business practice. While the firms collectively demand $9 billion from Qualcomm in damages if the payments are deemed illegal, there is also a possibility of the figure tripling if antitrust claims in the suit also succeed. Long as Apple, it's suppliers can continue making products and same time continue fighting in court along with regulators who are also against Qualcomm's IP licensing practices, at the end of lengthy court battle, Qualcomm will blink. How one feel about the matter notwithstanding, if there ever was blood in the water, that’ll be it! Qualcomm will blink when under new management. The current management will fight until they are retired. Their motivation is their paycheck, not what’s best for Qualcomm. Why negotiate when you have the upper hand? most comments are apple biased. take a neutral view.. Both are equally guilty. Apple knew what they were signing up for when they first taken a chip from Qualcomm. If you can't digest then don't go for it. Qualcomm has been making a wireless chip for last 30+ years, they will of-course try to monetize the market same like Intel in server market. I feel Qualcomm still has upper-hand as Apple went in fault when they breached already signed contract as well as breached some of the patents which ITC, China confirmed (no-offense to Apple but just a reality). More-likely, Apple-Qualcomm battle will settle. Judge would have hard-time taking one-side. Oh look, another 1 post troll account shilling for an Apple competitor. Seems you forgot the billions Qualcomm has paid in fines all around the world over these practices and the still on-going investigations that haven’t concluded yet. Well How Qualcomm paying fines all around the world make them more guilty and Apple less ? It is obviously more evident that nobody wants to pay royalties when you margins are getting squeezed by competition and being money rich, Apple is clan leader. Just stop. If you’re going to troll, at least do a better job. Are you part of QC’s legal team hoping to gain a sympathetic following? Qualcomm modems are far superior to Intel modems. It's a shame this legal battle can't be settled expeditiously. Well How Qualcomm paying fines all around the world make them more guilty and Apple less ? You kind of asked and answered in the same sentence. Based on what? Have you done exhaustive testing on both to back that claim up? Base on actual speed test. It is well proven that QC is faster than intel. I ran a test in my local mall in canada with my iPhone X and a Samsung. Samsung’s download speed is almost double my iPhone on the same network and same spot. It's not proven at all. Show me someone who's conducted an in-depth test with various devices in multiple locations and multiple times of the day. Further, you'd also need to conduct these test while moving (in a car or on the train) to see how the devices perform with rapidly changing reception or when switching towers. The only thing this proves is that you don't test hardware or software for a living. 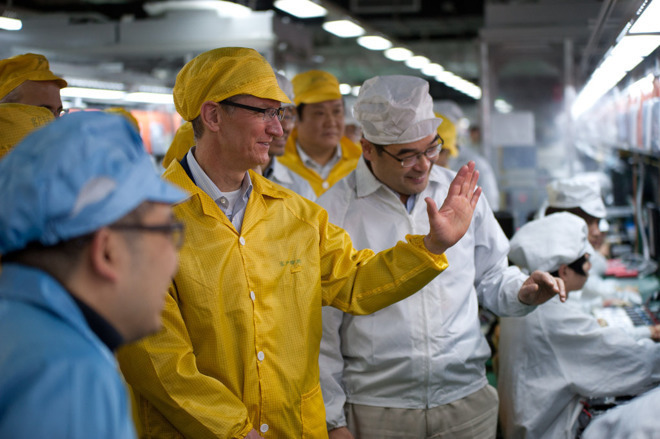 Apple is obliged to indemnify Foxconn, et al. So they aren't at much risk and aren't going to negotiate separate from Apple. For many practical purposes, this suit (i.e. Qualcomm v Compal, et al) and the one brought by Apple (Apple v Qualcomm) are the same case. They'll likely be settled together. That's part of the issue with these regulatory actions and suits by, e.g., Apple, being brought. The allegation is that it is in large part because of Qualcomm's improper (i.e. illegal and contract violative) actions that Intel is behind in some areas. By opening the market up to competition, Intel should be able to close the ground and going forward the industry should benefit. Part of what Qualcomm had sought to do was shut down competition in some areas, and that may well have stifled innovation. You are on Appleinsider.com... you thought that this was a neutral forum? Apple knew it perhaps, but that is the problem. They couldn't go anywhere else as QC had a monopoly and weren't licensing their essential patents as FRAND. Apple HAD to sign or not be able to make phones.